In between the popular surf breaks of Swami’s and Pipes is one of four rain and storm water outfall measuring sites—the one designated “EH-405.” You can’t see it with the naked eye. To get to it, you’d have to peel back thick ice plants. Once a month, that’s precisely what someone on the city of Encinitas’ payroll does in order to assess the water quality of our local beaches. Along with EH-405, the city’s Engineering Department—specifically under the purview of its Stormwater Pollution Prevention Program—also monitors Swami’s Beach, Moonlight Beach and the San Elijo Campground at Pipes. In addition to the beaches, city engineers also test creeks, storm drains and lagoons. 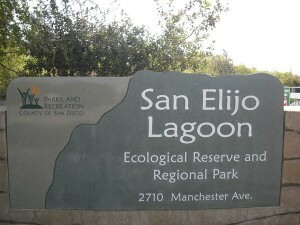 The bad news is that San Elijo Lagoon is at least slightly impaired. The lagoon is listed on California’s Environmental Protection Agency website for not meeting standards on nutrients, sedimentation and bacteria. Despite the lagoon’s placement on the state’s EPA watch list, the ecological reserve and Cardiff State Beach are home to 103 species of birds at last count, which was on March 14. Some of the species include the red-throated loon, double-crested cormorant, great blue heron, snowy egret and northern shoveler. 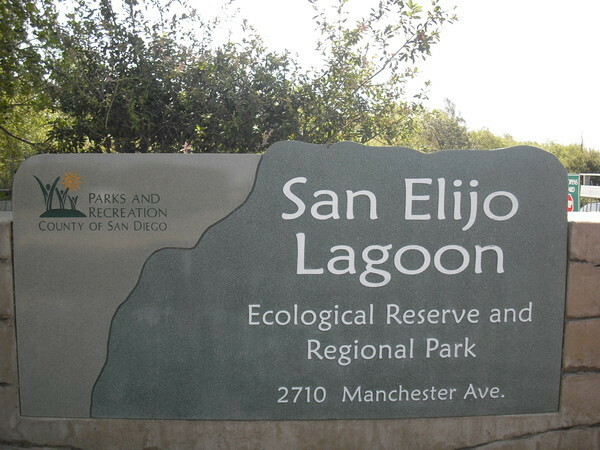 According to San Elijo Lagoon Conservacy Executive Director and Principal Scientist Doug Gibson, the dubious distinction of being placed on the state EPA’s TMDL (Total Maximum Daily Load) is to be taken with a grain of salt. Gibson claims that the EPA is using statistics from the 1980s, when indeed the lagoon resembled more of a swamp. It wasn’t until the mid-90s that the restoration of the lagoon was implemented. The health of the lagoon rebounded after the inlets were open and tidal flushing improved the circulation of the lagoon’s channels. 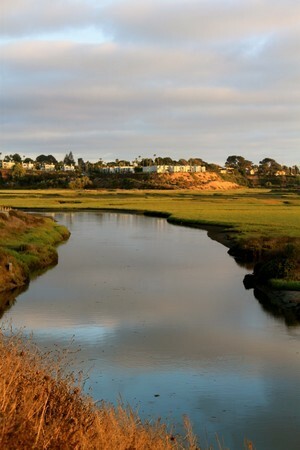 “Encinitas is blessed to be bound by two coastal pearls,” said Gibson, referring to Encinitas’ northern border, the Batiquitos Lagoon and its southern boundary, the San Elijo Lagoon. 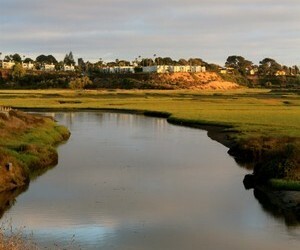 “Both these lagoons benefit the community in that they help improve water quality. The lagoons clean the water that comes down the creeks. The more we enhance and protect and acquire buffer lands around them, the better the water quality will be around the beaches,” he said. What would it take to improve San Elijo’s arbitrary 1-10 score? Gibson says that it’s going to be tough going because of a few problems: First, funding for real-time testing data is hard to come by. (The Department of Fish & Game is the third entity besides the city and the Conservancy that tests water quality; they are poorly funded and have to piggy-back off of the Conservancy’s data, according to Gibson). Secondly,there are 75 square miles of watershed that drain through narrow channels into the San Elijo Lagoon, which acts as a sink for fertilizer, animal waste and other pollutants. And finally, the narrow channels that squeeze between three main infrastructures (Coast Highway 101, Interstate 5 and the railroad) constrict the water flow. The good news, according to Mayela Manasjan, senior environmental specialist for Encinitas’ Clean Water Program Engineering Services, is that the city has not had to close any of its beaches since August 2008—and that closure was as a precautionary measure from a sewage spill that occurred upstream from Moonlight Beach. This is not to say that in the last three years there hasn’t been any event which didn’t lead to a recommendation that surfers and swimmers stay out of the water. Anytime there is significant rainfall (defined as at least one-tenth an inch of rain), San Diego County’s Department of Health recommends avoiding the ocean for at least 72 hours due to runoff pollution. According to Manasjan, Moonlight Beach has improved its bacteria count tremendously over the last several years. “We’ve reduced the closures and postings over the last five years and the city built a half-million-dollar UV treatment facility that kills 99 percent of the bacteria that comes through,” she said, referring to the treatment plant at the western terminus of Cottonwood Creek. To prevent runoff from reaching city beaches, Encinitas residents can play a big part in keeping our waterways clean for all to enjoy. Check your car for oil leaks and get it washed in an environmentally friendly way. Ideally, get your car washed at a commercial car wash. If you absolutely have to do it yourself, wash it on a grassy area to avoid runoff to storm drains. Storm drains are not connected to the sewer system, so soap, dirt, oil and metals washed from your car flow untreated to the ocean. Even biodegradable soaps can harm fish and wildlife. Limit use of yard chemicals. Use pesticides and weed killers only when absolutely necessary. Don’t apply yard chemicals if rain is in the forecast and avoid over-irrigating, which can wash the chemicals into the ocean. Do not flush expired medications down the toilet. The chemicals found in many medications can pass through the wastewater treatment plant and into the ocean, where they may harm aquatic life. Instead of flushing them, ask your pharmacy if it accepts old medications, or take them to a Household Hazardous Waste collection site. Drain your swimming pool only after de-chlorinating to one part per million. “Don’t add any chemicals to your pool for five days after de-chlorinating and then you can legally discharge your pool into the storm drain system,” Manasjan said. Manasjan would also like city residents to take note of the city’s Clean Water Program Hotline: 760-633-2787. This number will come in handy if you, for example, notice a mobile car washer not capturing their water. The city of Encinitas hosts two beach cleanup events every year: Creek to Bay, coming up on April 30, and the California Coastal Cleanup Day, held Sept. 17. Both events are open to the public. San Diego Coastkeeper also hosts twice-monthly beach clean-up events throughout San Diego County.